Dataset created to depict approximate 2006 tree canopy cover for greater Austin, Texas area. For planning purposes only, does not represent individual trees. Data was created through unsupervised classification using ERDAS Imagine and 2006 color infrared aerial photography. Supplemental raster and vector processing was done using Spatial Analyst Tools in ESRI ArcMAp 9.3. Dataset does not account for individual tree species or any metric for tree canopy height. This product has been produced by the Communications and Technology Department for the sole purpose of geographic reference.  No warranty is made by the City of Austin regarding specific accuracy or completeness.